This robust software package helps you maintain good communication with your suppliers, so essential for optimizing efficiency, reducing costs and improving service. Arm yourself with an extra layer of security and reduce your odds of a costly mistake by giving authorized users the option to approve bills before they are paid. A convenient payables calendar enables you to better manage cash flow at an optimum level. 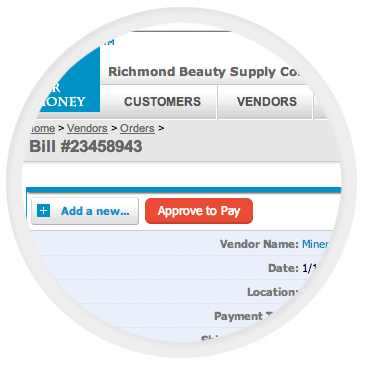 Send customer invoices and vendor Purchase Orders quickly, right from your screen! No more time-consuming, cumbersome fax machines or email servers needed. Print checks individually or in batch for accurate expense tracking. 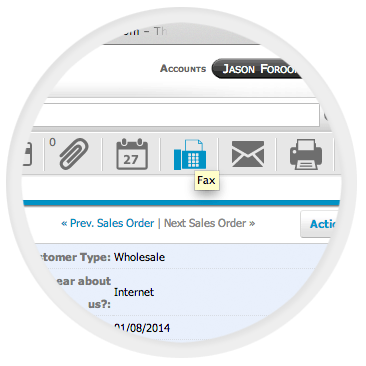 Create purchase orders in seconds and email or fax them to your vendors with a click. Track early payment discounts and auto-apply discounts. 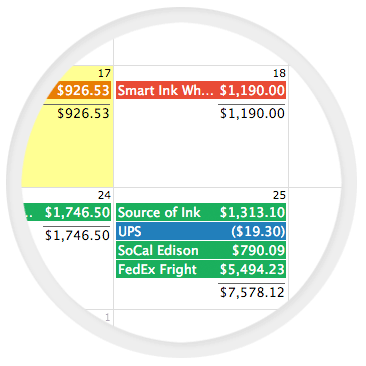 Using Payable Center and Payable Calendar stay on top of your bills and never miss a discount. Automatically link all related Purchase Orders, Sales Orders and Bills. Create custom fields to track unique information on vendors or bills.